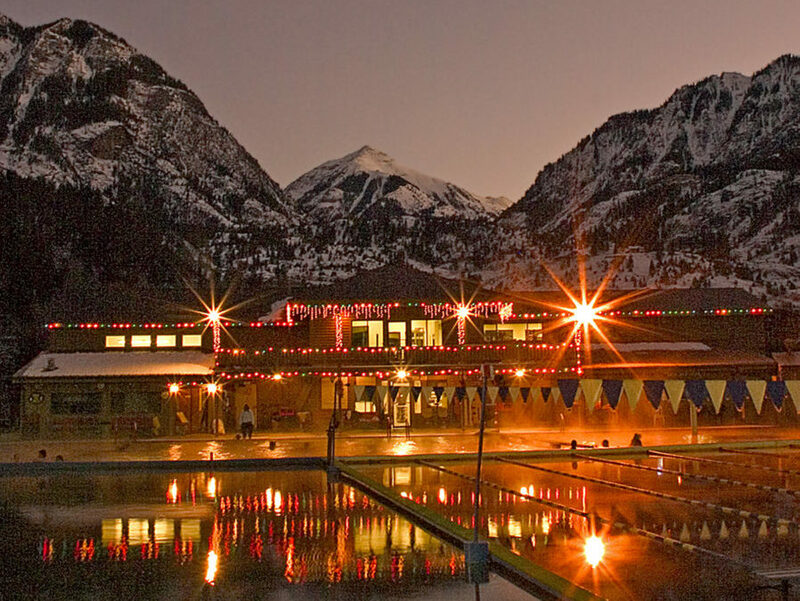 Valentine’s Day is coming soon and what better place to spend it that Ouray? Our mountain town has beautiful, romantic views, delicious restaurants, and exciting outdoor activities for you and your valentine to enjoy! This is one of Ouray’s most popular locations, and rightly so. The warm to hot water temperatures are the perfect place to relax during the winter. It’s easy to find peace and relax with your loved one amidst the mountains surrounding the narrow valley of Ouray. Ouray is home to mouth watering restaurants, breweries, and cafes for you and your valentine. Here are two delicious dining options! Ouray has a plethora of outdoor activities. Take your valentine on a snowmobile ride or snowshoeing adventure! Take a short drive to one of the Red Mountain(s), Coal Bank, or Owl Creek Passes for an exciting snowmobile ride! There are miles of roads and trails that snake through the mountains. Some even pass through historic mine sites that you will definitely want to see. This adventure is one you and your valentine will always remember! For those who are inexperienced in skiing or snowshoeing, there are quite a few trails for you to explore! Visit locations near Ridgway like Top of the Pines or Ironton Park to try out some intermediate and beginner trails. Fun trails for snowshoeing and cross country skiing include Miller Mesa for intermediate levels and the Ouray Amphitheatre for more experienced levels. Get a romantic room with a king or queen sized bed here at the Ouray Chalet Inn for this special holiday! Visit https://ouraychaletinn.com/ to book a room.